You are currently browsing the tag archive for the ‘Shakti’ tag. A piece of fiction that is true. Everything was made in shades of green and blue. She stood and leaned against the wall or over a bed, hips circling. Hot blood dripped onto the cold floor, circles within circles. The head pressed deep. The nurse asked her to come onto the bed. She said I’m coming. Another nurse arrived and set up obstetric tools. The resident looked like a twelve year old, the husband said after. His wife’s lips part, wet hair revealed. No one but mother and child are ready. Panting mixes with primal sound. Do you still imagine giving birth is sexless? Smell the ocean here. A world is breaking. Breathe earth and iron. Stop now. Let yourself soften to this, wet and warm, burning open, rising up. And she slips free, a fish swimming in air, unaware that the elements are rearranging themselves. Hush. Who are you? Silence. 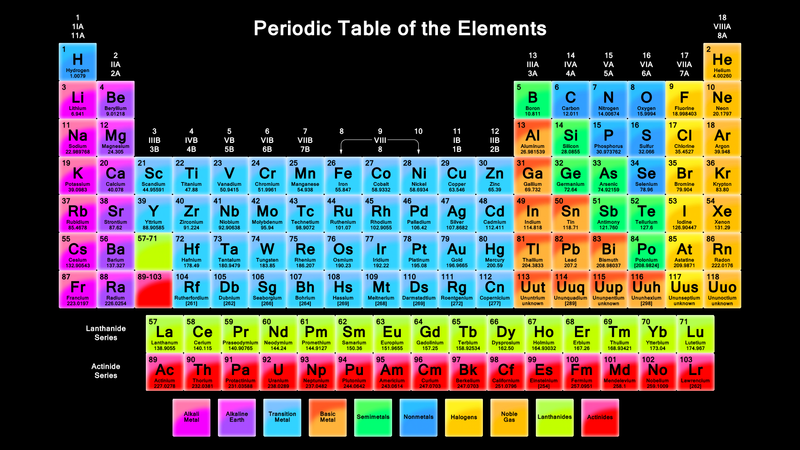 Then the clang of metal on metal, breath on breath. And she penetrates. You are your baby’s Source, its entire universe. This is obvious! And so what you eat literally shapes your baby, which isn’t a reason for guilt but for allowing yourself the pleasure of exercising your real power. In Pam England’s book, Birthing from Within, she writes, “Technology is not a substitute for good nutrition.” Ultrasounds and blood tests don’t heal or nourish. You do. By being in a close relationship with your self, it’s possible to really know what you and your baby need. Nourishing your self is the single most important thing you can do for your combined well-being. Eating regularly keeps your blood sugar stable and your energy levels consistent. In the last few weeks before you give birth, you might need to eat frequent small meals as your stomach is compressed by your very full uterus. Your blood volume increases by fifty percent, so drinking frequently, about three litres of fluid a day, supports your body and prevents bladder infections, headaches and early contractions. Your need for protein increases too, so include it in every snack and meal, when you can. You will build strong, resilient tissue that will stretch rather than tear as you open to your baby. Nuts and dried fruit are a portable, high fibre snack rich in protein, iron, calcium and folic acid, nutrients particularly needed in pregnancy. Fresh fruit smoothies with yogourt or soy milk give a quick nutritious boost. For lunch and dinner, a source of protein, whole grains and dark leafy vegetables should be the priority. Also, the average Canadian diet is lacking in adequate levels of DHA (docosahexaenoic acid), an omega-3 fatty acid found predominantly in fish oil that is necessary for your baby’s optimal neurological development and is also good for you, reducing your risk of premature labour and postpartum depression. Salmon, herring and sardines are a good source but a supplement ensures an adequate supply. As a woman, you receive strong messages from our culture about how your body should look. Being pregnant is an opportunity not to take them seriously as you get in greater touch with how you feel. That’s where the wisdom lies. And the beauty. Want to Get to the Heart of the Matter? Want to get to the heart of yoga? This training offers an intimacy and knowledge of the feminine that is missing in much of current teaching. Without it, yoga is impossible! Understand birth, and you understand yoga, the fact that you are the source and force of life. Direct access to your power, what yoga calls shakti, is the gift. It’s your connection to this power that gives you a real ability to mother, heal and teach. In learning the principles of breath and body that let the vast intelligence of life flow, a woman has the practical means to prepare for the complete integration that giving birth entails. These principles come from an ancient knowledge of life that Krishnamacharya was blessed to learn but that has yet to become a part of our collective understanding. Simple and safe, these principles lead to an experience of your natural state and the strong likelihood of an uncomplicated, spontaneous birth. Birth IS yoga. An exploration of the physical, psychological, and spiritual transformations a woman goes through in the childbearing year will give you insight into her needs and will help you provide a space that nourishes her connection to herself and her community. The feminine force isn’t a concept, myth or metaphor; she is you and me. Crescence Krueger passes on the beautifully simple and profound Yoga that she has received from Mark Whitwell. Her direct experience of Yoga began when she gave birth to her daughter and it has continued through eighteen years work as a Doula, helping other women give birth. Her ability to integrate the wisdom of traditional midwifery into current birthing environments has been supported by a twenty year connection to Isabel Perez and Ina May Gaskin. Crescence teaches and mentors Yoga teachers and Doulas. Real relationship is at the heart of life and she is committed to working in a way that makes it possible. at LiV Yoga Studio, 155 Liberty St. (King and Dufferin), Toronto. Appropriate for anyone who is interested: teachers, pregnant women, doulas, midwives…the yoga will be adapted to you. $645.00 + HST Yoga Alliance credits; certificate given. Join vocalist and composer Wende Bartley and me! In the union of inhale and exhale, movement and breath, we feel our innate wholeness. By extending the breath into sound making, we readily resonate and open to a wide range of sound and healing frequencies. 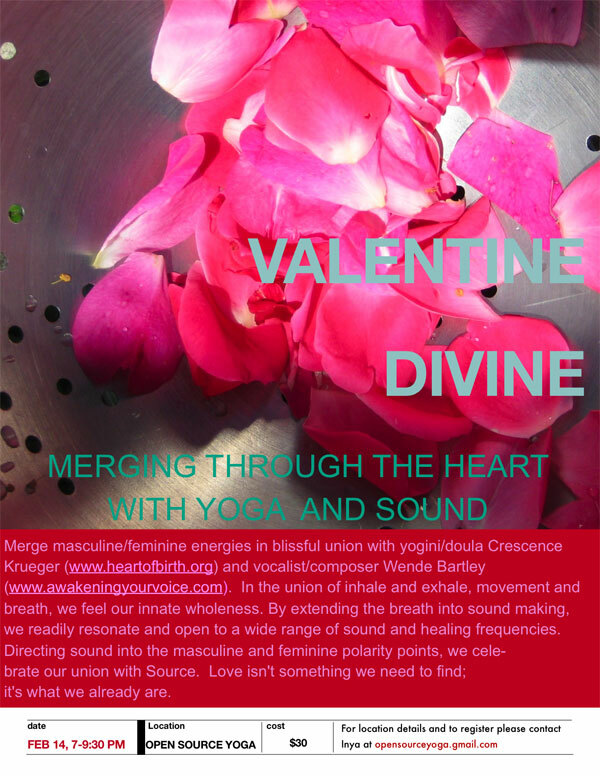 Directing our sound into the masculine and feminine polarity points, we celebrate our union with Source. Love isn’t something we need to find; it’s what we already are. Understand birth, and you understand the very heart of Yoga, the fact that you are Mother, the source and force of Life. Direct access to your power, what Yoga calls Shakti, is the gift. By learning the principles of breath and body that let the vast intelligence of life flow, you’ll have the practical means to prepare for the complete integration that giving birth entails. These principles come from Krishnamacharya; in the deep denial of the Feminine that still defines our world, they have yet to become a part of our collective understanding. They are simple and safe and lead to an experience of your natural state and the strong likelihood of an uncomplicated, spontaneous birth. An exploration of the physical, psychological, and spiritual transformations a woman goes through in the childbearing year will give you insight into her needs and will help you provide a space that nourishes her connection to herself and her community. The Feminine Force isn’t a concept, myth or metaphor. She is you and me. 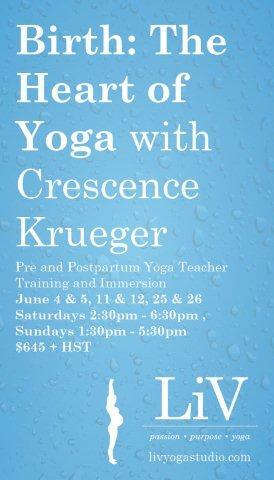 Crescence Krueger passes on the beautifully simple and profound yoga she has received from Mark Whitwell. Her ability to integrate the wisdom of traditional midwifery into our current teaching and birthing environments is rooted in eighteen years’ work as a doula, helping women give birth, and a twenty year connection to Isabel Perez and Ina May Gaskin. Real relationship is at the heart of both yoga and birth and Crescence is committed to teaching in a way that makes it possible. She was on the faculty of the Yoga Festival of Toronto in 2010 and has played a variety of leading roles in the community over the past two decades. Included are two private meetings, one before and one after our group gatherings on April 2/3 and 9/10, Saturdays 9:30am to 6:00pm, Sundays, 11:30am to 6:00pm. The one-on-one time is an opportunity to talk and to receive an appropriate personal practice in preparation for, and integration of, the training. Your own practice is the source of your effectiveness as a teacher and your power as an individual. Everyone, including pregnant women, is welcome. Fee $645.00; Certificate; Yoga Alliance CEU’s. Who are you? You are Mother, the very source and force of Life. Having direct experience of your own power, what Yoga calls Shakti, is the opportunity that giving birth presents. A complete understanding of Yoga gives you simple access to this experience. So come! Immerse yourself in four days of Yoga! Deepen and refine your receptivity by learning the principles of practice that let the power and intelligence of life flow. Krishnamacharya gave precise instructions so that you can create an authentic, safe and efficient Yoga practice for yourself and those you teach. These principles can be incorporated into any “style” of Yoga. You’ll move to the pulse of your breath, release it on sound, work with yantra and mantra and know philosophy as your own direct contact with reality. Having the strength to receive life is the point of yoga practice and the challenge inherent in giving birth. The means to this strength has been missing from contemporary culture and yoga teaching; it is the Feminine. In integrating the feminine principle back into how we practice, we no longer separate ourselves from life but have the ability to fully embrace it. An exploration of the physiological transformations that occur in the childbearing year and of the “neural hormonal flow of love” that is responsible for the birth and breast feeding processes will give our work a good foundation and point to a woman’s practical needs during this time. Her psychological needs are equally strong. Understanding the universal arc of a woman’s journey through birth will deepen your ability to respond to where she is at. I give you the means to teach pregnant and new mothers safely and effectively and know the feminine force not as a concept, myth or metaphor but as the real life that moves through us all. Who am I? I teach in the lineage of Krishnamacharya from the beautifully simple and profound yoga I have received from Mark Whitwell. My knowledge of traditional midwifery comes from a nineteen year connection to Isabel Perez and Ina May Gaskin. The union of these two understandings creates a body of wisdom that is whole and relevant to our current circumstances and life style. For nineteen years, I have also been a mother. I gave birth in a way that rooted my daughter and me in an enduring intimacy. The urge to pass on this power led to my work as a doula and teacher. Helping women access their strength and receptivity, their awareness of their inherent perfection, has been the foundation of my work over the last seventeen years. It brings me again and again into the heart of Life. Space is still available in what will be an intimate and responsive learning situation. Workshop Certificate; Yoga Alliance CEU’s. Come immerse yourself in four days of authentic yoga tantra! Deepen and refine your receptivity by learning the principles of practice that let the power of life flow. You’ll move to the pulse of your breath, release it on sound, work with yantra and mantra and know philosophy as your own direct contact with reality. Having the strength to receive life is the point of yoga practice and the challenge inherent in giving birth. The means to this strength has been missing from contemporary culture and yoga teaching. It is the Feminine. An exploration of the physiology and neural hormonal flow of love in a pregnant, birthing and breastfeeding woman will give our work a good foundation and point to her practical needs during the childbearing year. You’ll be able to teach pregnant and new mothers safely and effectively and know the feminine force not as a concept, myth or metaphor but as the real life that moves through us all. I teach in the lineage of Krishnamacharya through the beautifully simple and profound yoga I’ve received from Mark Whitwell. My knowledge of traditional midwifery is from Isabel Perez and Ina May Gaskin. The union of these two understandings creates a body of wisdom that is both whole and relevant. Certificate; Yoga Alliance and RMT CEU’s given. I began to write a comment on Nadine Fawell’s post but I realized I had too much to say, so I am writing here instead. Nadine lives in Australia and counts Mark Whitwell as one of her beloved teachers. A student of hers had asked her for her understanding of Mark’s statement that “Yoga is Strength Receiving” and she bravely took up the challenge. Here’s my response! If you move and breathe as Strength Receiving, you are functioning in the same way the universe functions; you are in harmony with everything. You embody the principles that philosophy talks about and they are easily understood because they are a tangible experience. The Yoga technology that allows you to do this is not taught in most Yoga classes. As you and Grace share, Nadine, injury, or disintegration, is the result and it can take time to drop the habits that are in your body from prior training. In breathing and moving in a way that actually allows you to experience Yoga, “the challenge is within the breath limits, not the musculature”, to quote Mark. Hands are open and soft; shoulders, elbows, wrists and all joints are relaxed. Yoga practice is about receiving the breath and the Life energy that moves on it. “The importance of asana is its energetic function, not what it looks like. What the practitioner actually feels is primary”. Switching my focus from form to feeling was one of the changes I made in my practice when I met Mark. It completely trans-formed what I was doing! To trust the inner fluid source of my form is an ongoing, challenging and beautiful process for me now. Feeling. What do we feel? When we breathe on ujayi, we must use our whole body to breathe. This turns breathing into an activity that opens and strengthens all of us. On a ujayi exhale, we naturally engage our core musculature; we actively participate in the release. But first and foremost, an exhalation needs no effort on our part. I think it is helpful to look at what is happening in daily life breathing because it sheds light on what is fundamentally soft and strong in us. To exhale is to let go. The diaphragm is the main muscle of respiration and when we exhale, it relaxes. As it does, it moves up against the lungs which return to their unstretched state. The decrease in volume increases the pressure in the lungs and breath flows out of us. (This is why open sound is a release rather than an effort and why it is so resonant and pleasurable!) When the diaphragm contracts, it moves downwards, creating more space in the lungs which breath moves in to fill. So an inhalation engages our strength and that is why the test of whether we should stay in a posture or not is whether a full, smooth inhalation is possible in it. Our strength is necessary in order to receive. This is true on both the most basic physiological level and on the most subtle levels of human connection. The tricky part is that we tend to believe the opposite! We think that giving is work and that receiving necessitates personal surrender. We put our strength in the wrong place and then are bewildered when everyone gets hurt. Receiving and surrendering are two different things. The Concise Oxford dictionary defines surrender as 1 tr. hand over; relinquish possession of, esp. on compulsion or demand; give into another’s power or control. 2 intr. a accept an enemy’s demand for submission. b give oneself up; cease from resistance; submit. Mark’s statement is that Yoga is Strength Receiving, not Strength Surrendering! Nadine, when you wrote about relationship, you mainly used images of surrender rather than of receptivity. They particularly struck me because I have just recently recognized how I can confuse my own self-abnegation with being a loving person. I’ve been insane! But I’m not alone in my craziness and I think our collective confusion speaks to the loss of power we assume is necessary if we are to love and be loved. Surrender, in the sense of giving up our idea of who we think we are or who we want others to think we are, or of letting go of resistance, may be an appropriate response when we receive another but it is not the action of Yoga. Receiving is. Receiving someone is engaging our strength and taking them in. Seeing them, hearing them, enfolding them. Then there is no difference between us. Then we are in Yoga. Then we are in Love. Almost five years ago now, I walked from the Metro Convention Centre towards Roy Thompson Hall knowing that I had experienced Yoga in a way I never had before. The air was cool and damp in Toronto’s novemberish way but the sun was shining through the remains of the morning mist and I felt it shining through me too. I felt warm and soft and beautiful. This was my first experience of Mark Whitwell’s Yoga. The choice of asana and pranayama were traditional and familiar and yet the feeling in me was not. There was a gentleness to what I had just been part of that touched me deeply. I couldn’t define what had happened then. Now I can. Now it is my Yoga. I practice and teach in a way that embeds the philosophical principles of Yoga into the very technology of practice, into how you breathe and move. Rather than practice being a warm-up to meditation and profound insight, practice is your connection to what you are. Meditation and clarity happen with absolutely no effort. The integration that is realized is deep because the practice lets you participate directly in the force that brought you into the world and is keeping you alive. This participation is the Yoga, the union. It is missing in much of how Yoga is taught. The fact that it was given to me by a New Zealander on a beautiful fall day in downtown Toronto is one of the fateful twists in my life. Finally I had a very clear and precise way to pass on to others what I naturally experienced in my own life and work. While you need to be taught by someone who is actually beside you listening to you breathe, I hope it is helpful to write down the basic principles here. They will lead you in the right direction. You can start playing with your breath in your own practice. As Mark says, you don’t need to abandon what you know but to simply integrate the breath into what you know. You can do this with an Astanga practice as easily as with an Iyengar one. You will create something new that is your own. To begin, let your breath move with a soft hiss made by narrowing your throat slightly. I think of the sound of the surf when I do this. This is called the ujayi breath. When you breathe like this on both the inhale and the exhale, you engage your core musculature, the strength of your body. That strength becomes the vehicle for your breath. Your movement is a way to release and strengthen your breath, not the other way around. This is very important. You are not pressing into a posture and then remembering to breathe. Begin to breathe before you move and let the breath be the inspiration, quite literally, for the movement. When the movement resolves in stillness, let the breath extend slightly beyond it until it too comes to rest. The inhale comes from above. It expresses the Feminine principle. The exhale comes from below. It expresses the Masculine principle. They meet each other in you and become one. This is the Yoga. Everyone can do this. It is not a great mystical feat. To play with the breath in this way becomes the purpose of your Yoga now. Krishnamacharya said, “If you can breathe, you can do Yoga.” “Because the great power of our anatomy is being used to move the breath, it moves with ease as we contact our depth, our source,” writes Mark. In Yoga, our source is called Shakti. She is the origin and manifestation of Life. She is not apart from us, somewhere up in the sky. She is in us. We are in her. And the way to know this is to move and breathe in a way that makes it clear heaven and earth are one. For the first time in 18 years, I am free to come and go as I please in the world. My daughter has left Toronto to attend university. It is a bittersweet freedom, coming as one phase of our lives ends and another begins. What to do with it? In speaking to the Yoga Alliance this past week, I found out that they are struggling with a backlog of 200 teacher registration applications. It took four attempts, by mail and then by fax, until they were able to locate my paperwork. Is there anything, in the millions of people now practicing and teaching Yoga, that I can add? I’ve been reading Yoga, Buddhist and other spiritual magazines over the last few weeks, interested in what people in the public realm are saying right now. My birth work happens in the intimacy of bedrooms and birthing rooms and the majority of my teaching over the last few years has been one-on-one in my home. I feel that what happens in these private realms is not impacting the public conversation. Here`s an example. In the August-September 2009 magazine Tathaastu there is an article by David Frawley. His realm is Tantric philosophy. “Wonderful!” I’m thinking, as I dive into his words. But as I read, something doesn’t feel right. It takes me a moment to figure out what. “To merge one’s mind into [the] yoni of the heart is to move through all creation to the absolute beyond, to be reborn into the Supreme!” He speaks of “higher” powers and how sexual energy is “only” an outer manifestation of cosmic consciousness, “a greater Divine sexuality which transcends all creaturely existence” Ah, now I have it! David separates the spiritual from ordinary life and in doing so, turns what we are into something less than what lies “beyond”. Wherever that is, it is not here. Disassociation is at the root of human suffering and spiritual philosophy that assumes we have to leave ordinary reality is yet another source of pain. 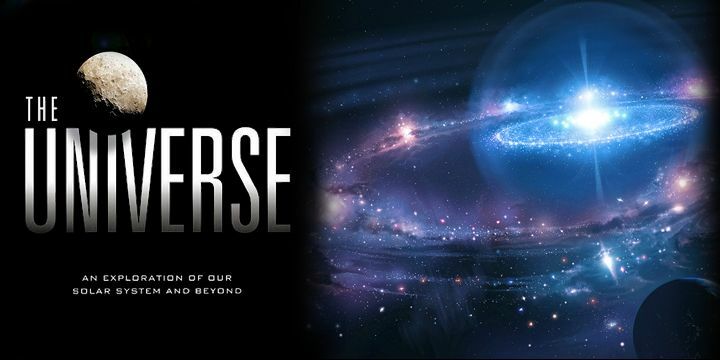 Our physical existence is not a barrier to the absolute but is its fullest expression. When sperm fused with egg, the energy of Life, Shakti, God/Goddess, call it what you will, moved through your parents and took form as you. You wouldn’t be alive if Shakti weren’t pulsing in you at this very moment. We don’t go “beyond” to feel this. Life is right here, right now, present in a never ending flow. Like a river and its bed, like sunlight and its warmth, we are indivisible from our source. So our birth is not an event that needs to be improved upon. I challenge anyone to be with a woman as she gives birth and then say that what you have witnessed is not the pure power and mystery of the universe revealing itself. After sixteen years of attending births, I return home in greater awe each time, feeling the strength and delicacy of my own aliveness, raw and open. If I gave birth to another human being believing that I had trapped them in a state that needs to be transcended, it would turn my life into a nightmare. I would become a vehicle of suffering. What misery for all of us! Krishnamacharya’s statement that “We have created a hell out of this earthly paradise” describes the situation very aptly, I think. He defined practice, sadhana, as “doing what can be done”. Everyone can receive the reality of Life as it is given. Small “l” or capital “l”, there is no difference between them. I think that students and teachers are in a conspiracy of lies. My teacher used to say that students will come to you with chains of concepts and an unskillful teacher will give them another chain of concept to carry around and they’re both happy. They think that’s what teaching is. To really get into the core of your being, you don’t have to accumulate more. You have to have the good fortune to meet someone like my kind teacher who whittled away everything. In order to whittle, you must know what you’re working with. Is it pine, oak or cherrywood that you hold in your hand? Freshly cut or seasoned? As my daughter begins her time in an institution of “higher” learning, I’ve been thinking of her path up until this point. Certain that a personal relationship between teacher and student was essential, I homeschooled her until she was eight. She then entered a Waldorf school and stayed with her core teacher throughout the next six years. High school was spent at another small school where there was a strong sense of community and a real engagement between teachers and students. While now part of a student body that numbers over 20,000, she has chosen a program that contains only 80 students and that has her in a seminar class of eight and a tutorial class that is even smaller. Her instinct is to seek out the opportunity for relationship. I am fascinated by this. And I think how much more important is the connection between teacher and student when the subject is not intellectual but of the heart? Like Sat Hon, I too have met kind teachers. They have met me in return with a knowing that has touched my very marrow. In our meeting I have come to recognize that the core of my creaturely existence is love. Everything whittled away, I am left with everything. So much of Yoga is now taught en masse. I wonder if this reflects our collective struggle with intimate relationship? My daughter has had the good fortune to experience real connection. So many of us haven’t. We’ve drifted through social and educational systems where we’ve never been seen. If you don’t know what you’re missing, how can you ask for it? How can you give it?